Excellent (albeit somewhat expensive) series of booklets (Vol 1+2 have been published, Vol 3 is still outstanding) that cover all essentials about performance soaring. G Dale is not only an experienced competition pilot (former UK champion and participant at multiple world championships) but also a great teacher (currently working at Omarama’s school of mountain soaring in New Zealand). In succinct, jargon-free language, accompanied by simple and effective illustrations, G explains all aspects of cross country soaring from flat lands to mountains, and utilizing all forms of lift (thermal, convergence, ridge, and wave). G also puts special emphasis on safety, particularly critical in mountainous terrain. 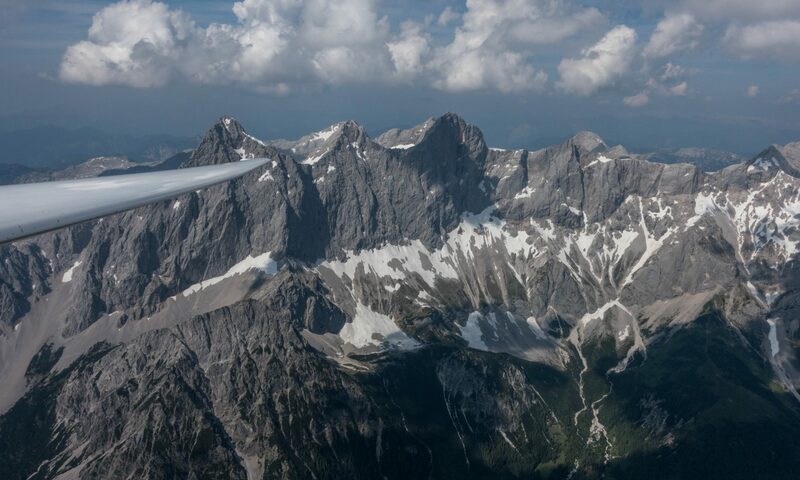 This book is written primarily for glider pilots who are just about to make the step towards cross country soaring. It bridges the gap between introductory soaring textbooks that focus primarily on the basic principles and safety of powerless flight, and the more dedicated, often jargon filled, literature about cross country flying targeted at already advanced soaring pilots. I have found a lot of excellent practical tips in Eckey’s work especially with respect to thermaling techniques (e.g. where to look for thermals, how to center them quickly, what bank angle and air speed to use, etc.). The book is a bit light on mountain flying, so make sure to not use this as your only reference before you head into challenging terrain. Also, I found that sometimes the book makes statements or specific recommendations without fully explaining their theoretical underpinnings, leaving me wanting for more, or, at times, even making me question the validity of a statement or recommendation. Sebastian Kawa is the most accomplished glider pilot of all times. This book chronicles his life story from growing up in rural Poland to first sailing and then gliding. The book is organized into two very different parts: the first part is basically a transcript of Sebastian’s answers to a series of interview questions; the second part is better organized and written more like a textbook with useful illustrations. In addition to Sebastian’s practical tips, any aspiring competition pilot can find useful insights into an outstanding competition pilot’s mindset. If you’re prepared to glance over a large number of grammatical/editorial errors and are willing to hunt for the many valuable tidbits, the book is not just entertaining but also very worthwhile to read. However, if you’re looking for a comprehensive and well organized textbook on advanced soaring techniques, that’s not what this book is. Joe Karam is a fascinating, multi-talented character. Born in Beirut, brought up in France, Joe moved to the United States, obtained three college degrees from Stanford, became a serial inventor at Google, and then decided to pursue a career in theater and drama in Los Angeles. All before he was 28. On the side, he also became a triathlete and a soaring pilot and wrote this book about his experiences. Joe is not only exceptionally smart but also a very gifted writer and a bit of a romantic. This book is a very personal account that will be of interest to any aspiring soaring pilot who is looking for a literal “buddy” to compare experiences with, and someone from whom they can obtain additional inspiration for their own story. Rolf Hertenstein brings 40 years of soaring experience and a Ph.D. in Atmospheric Science into this book. Unlike other works written by scientists, this ones is easy to read and stays very practical throughout. You certainly don’t need a Ph.D. yourself in order to follow. He does a great job explaining complex phenomena such as wave lift with the aid of simulated models and translating them into practical tips for the (more complex) real world. Rolf has a lot of flying experience in the Colorado Rockies, so his examples and illustrations are especially pertinent for anyone flying there. Strongly recommended!